When I was growing up, seeing mysterious stone temples on tv with larger than life faces was relatively commonplace. From Indiana Jones to Legends of the Hidden Temple, I thought that most lost, ancient temples were covered in intimidating stone faces. 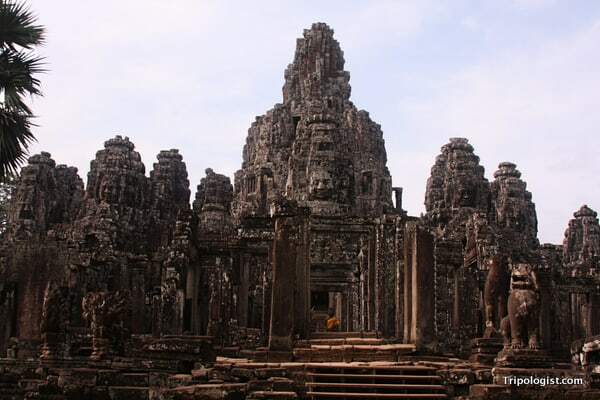 Located near Siem Reap, Cambodia, Angkor Thom is part of the Angkor Historical Complex. 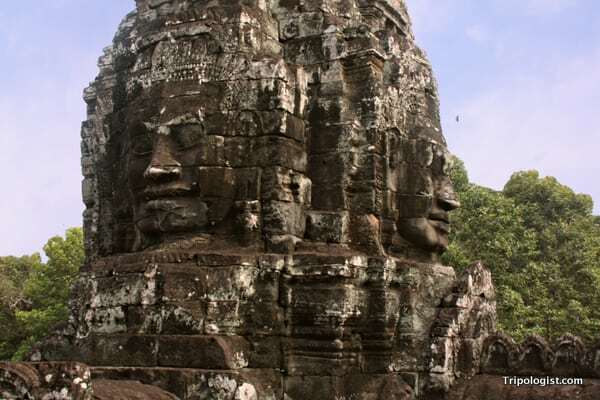 While it may have been overshadowed in recent years by the mesmerizing Angkor Wat, you could actually make a case that the stone faces of Angkor Thom are the more well-known image. It was an April day, nearly two years ago, when I got the chance to see the stone faces of Angkor Thom with my own eyes. As our tuk tuk puttered up to the entrance to the temple complex, I was speechless. As the first stop in my 4 day adventure at Angkor, I had been waiting for this moment for a long time. 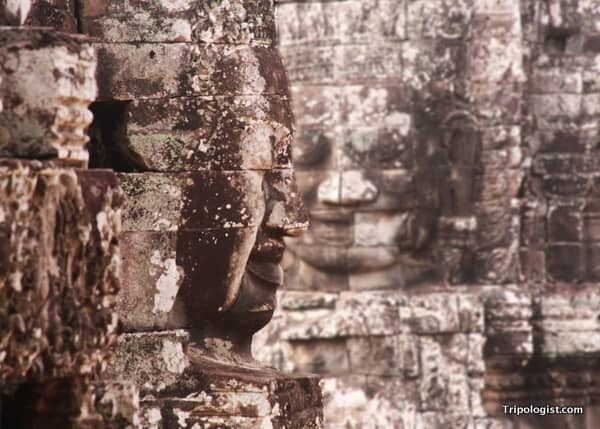 Looking up, I saw the stoic faces of Angkor starting down at me, almost as if they could penetrate my soul. As I explored the temples that made up Angkor Thom, I was captured by the beauty of these ancient structures. The builders may have died hundreds of years ago, but the faces they left are still peering down on us today. Below are some of my favorite photos from my visit to Angkor Thom. I hope you enjoy them. 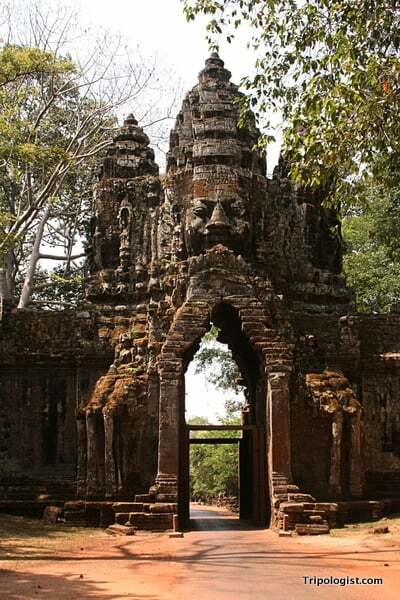 One of the entrances to the Angkor Thom temple complex near Siem Reap, Cambodia. Several of the many stone faces on Bayon Temple. 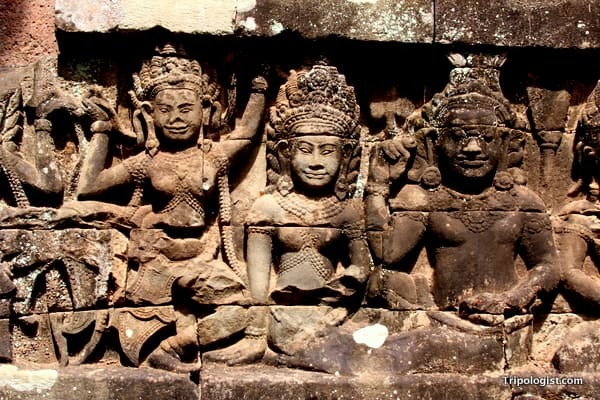 Some of the many beautiful carvings at Angkor Thom. 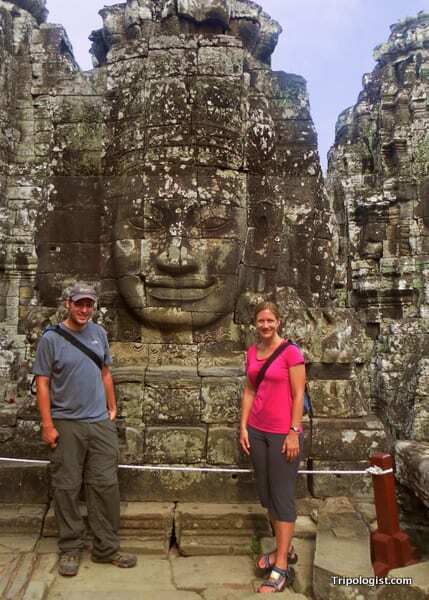 My wife and I with a stone face at Bayon Temple. 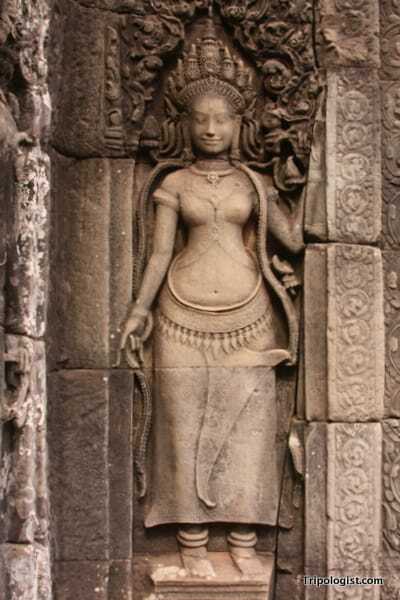 A carving on Angkor Thom in Siem Reap, Cambodia. 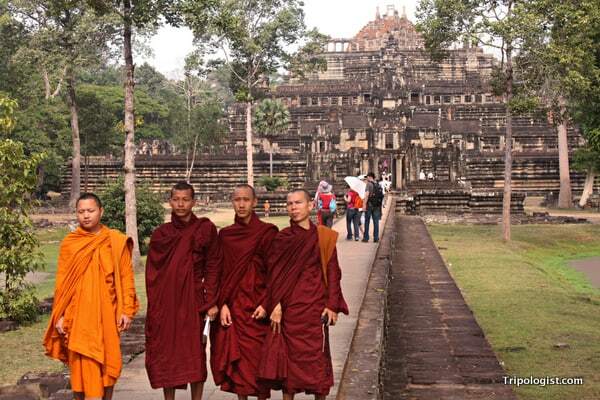 Four Buddhist monks pose in front of a temple at Angkor Thom. 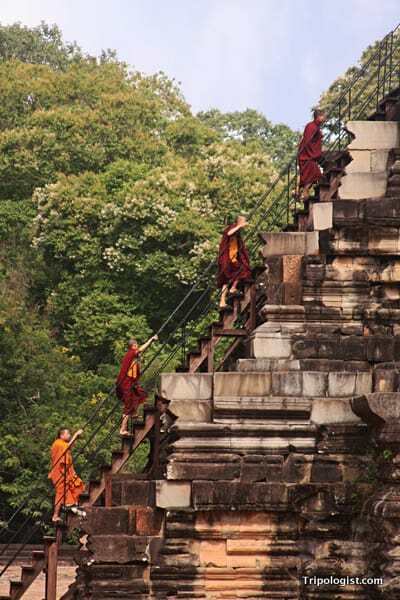 Four Buddhist monks climb a temple at Angkor Thom in Siem Reap, Cambodia. 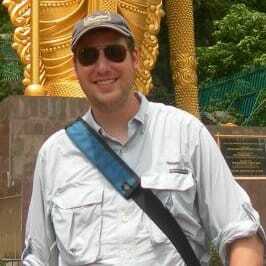 We will be visiting Siem Reap in a few weeks. After seeing your photos, I have added Angor Thom to my list of “must sees”. Great. Have fun! Siem Reap is amazing. If you’re looking for other things to do, I HIGHLY recommend Beng Mealea and Koh Ker. I wrote about Beng Mealea on the site. Just do a search and you should find it. I was more moved by Ta Prohm temple than either Angkor Wat or Angkor Thom. Ta Prohm was definitely one my favorites as well.